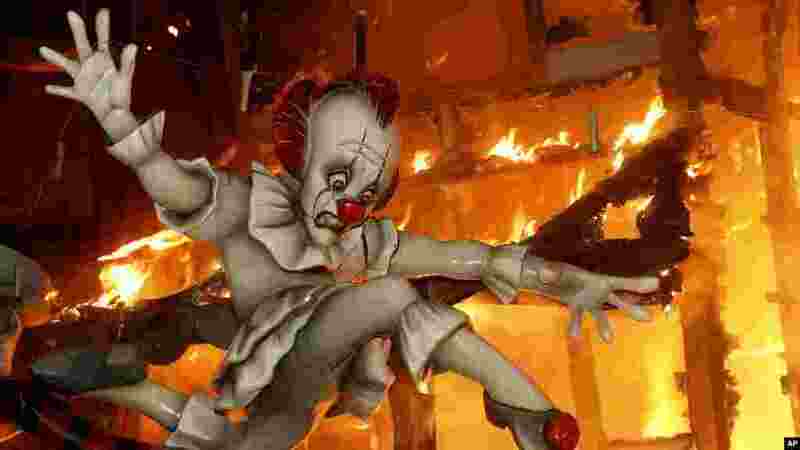 1 A falla ninot burns during the traditional Fallas festival in Valencia, Spain. 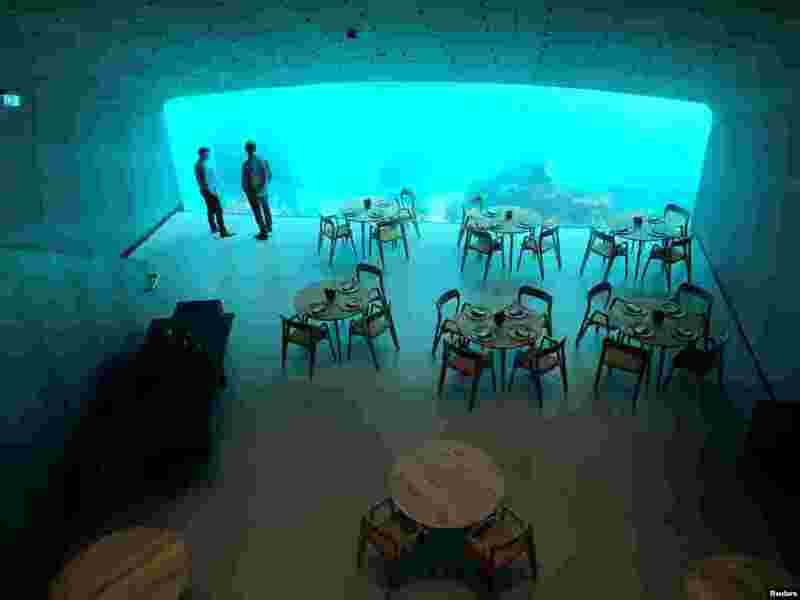 2 An inside view of the underwater restaurant Under in Baaly, Norway, March 19, 2019. 3 A woman walks along the stairs which shows the sign of the fair prior to the Leipzig International Book Fair in Leipzig, Germany. 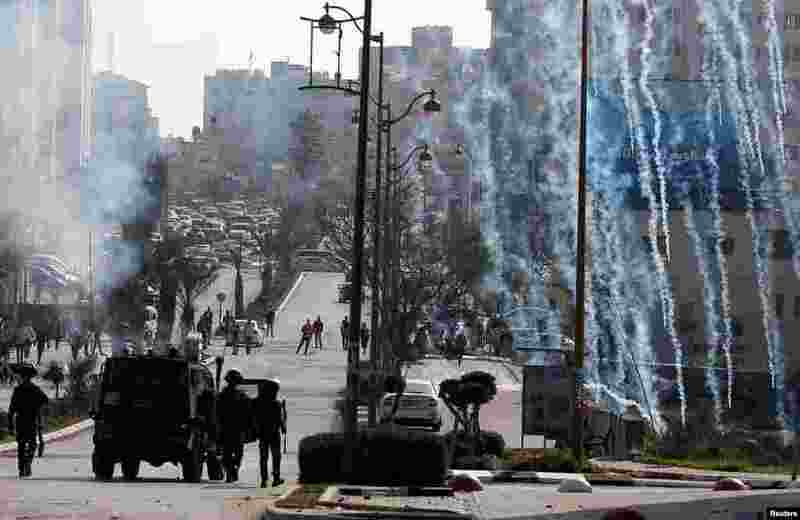 4 Israeli forces fire tear gas canisters at Palestinian protesters during clashes near the Jewish settlement of Beit El, in the Israeli-occupied West Bank. 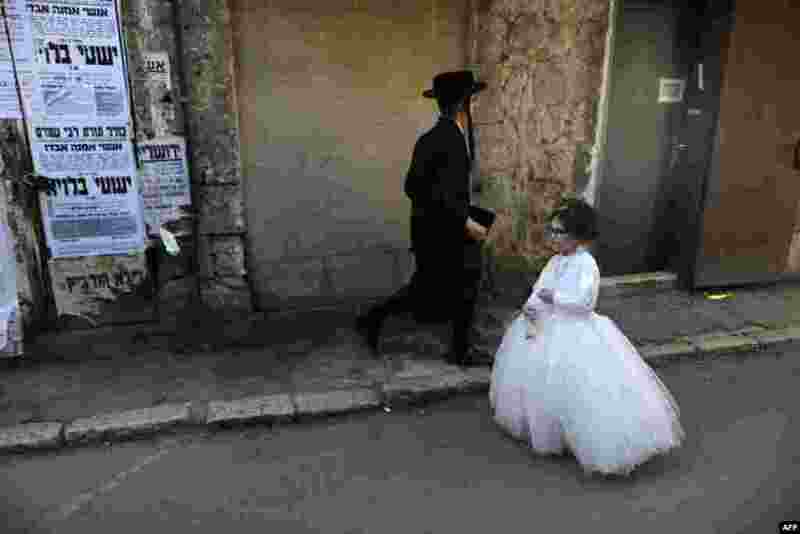 5 Ultra-Orthodox Jewish children dressed in costumes participate in a school parade celebrating Purim, two days ahead of the official holiday, in the Mea Shearim neighbourhood in Jerusalem, March 19, 2019. 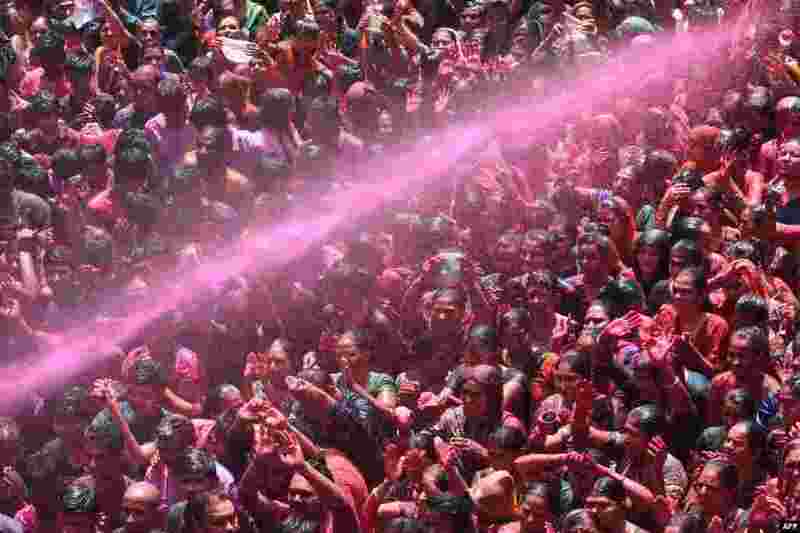 6 Indian Hindu devotees are sprayed with colored water as they celebrate the Holi festival at the Kalupur Swaminarayan Temple, in Ahmedabad. 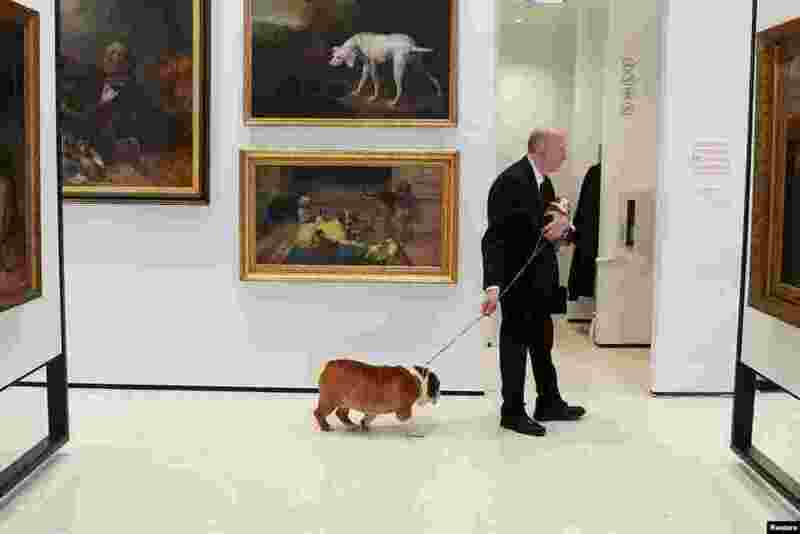 7 Peter Festa is pictured with his bulldogs at the American Kennel Club's Museum of the Dog during an unveiling of the clubs' most popular breeds in New York, New York. 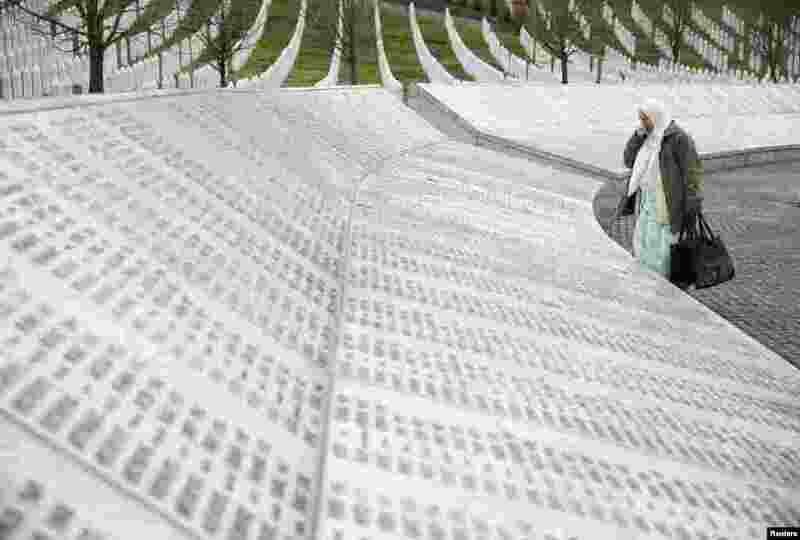 8 A woman stands near a grave of her family members in the memorial center Potocari before the judges verdict on former Bosnian Serb political leader Radovan Karadzic's appeal of his 40-year sentence for war crimes, near Srebrenica, Bosnia and Herzegovina. 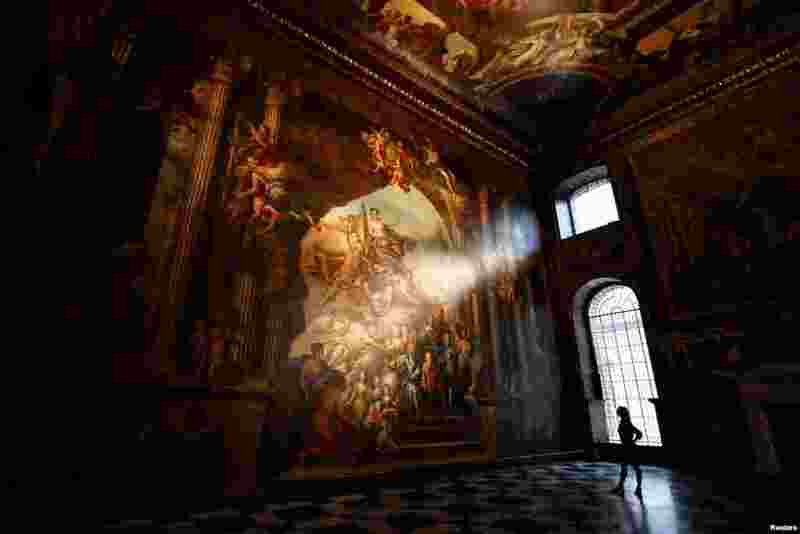 9 A gallery assistant poses beside a fresco during the reopening of The Painted Hall, Old Royal Navy College in London, Britain. 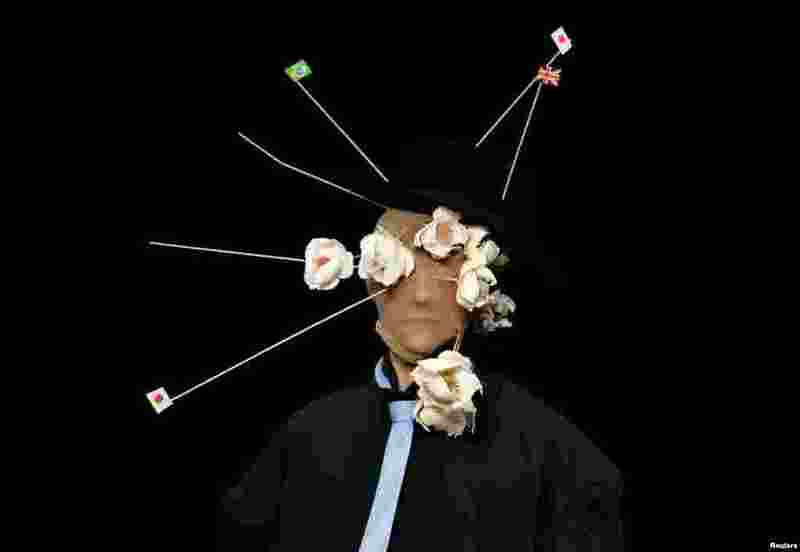 10 A model shows a creation of Ryota Murakami for the brand RYOTAMURAKAMI during Amazon Fashion Week Tokyo in Tokyo, Japan.